Electric locomotive 541 002 “Innofreight” of the Slovenian State Railway (SZ). The model is used in the cross-border freight traffic. The Austrian company "Innofreight" was founded in 2002 and initially specialized in wood transport. Even today, "Innofreight" still puts the main focus on the transport of trunk trees and wood chips. However, the transport of agricultural products, building materials or liquids belongs also to one of the company's competences today. 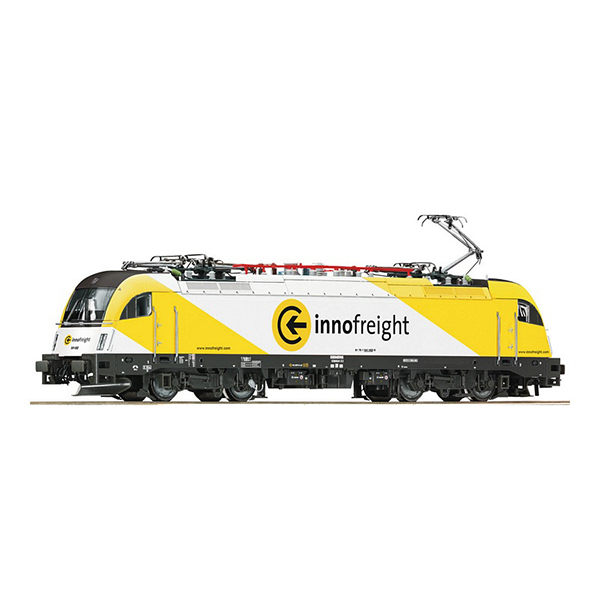 In the summer of 2018, "Innofreight" and the Slovenian State Railways (SZ) launched the electric locomotive 541 002-6 in the eye-catching "Innofreight" livery yellow. The locomotive was designed for promotion purposes and to show that the cooperation between the two railway compies perfectly worked.